The Intel SSD 335 Series 240GB costs less than 200 euros and reaches 470 MB / s read and 326.1 MB / s write for large file transfers. The bundled software, download, proved excellent. For less than 200 euros, 240 GB SSD Intel offers a comfortable storage capacity and good performance for transferring large files. 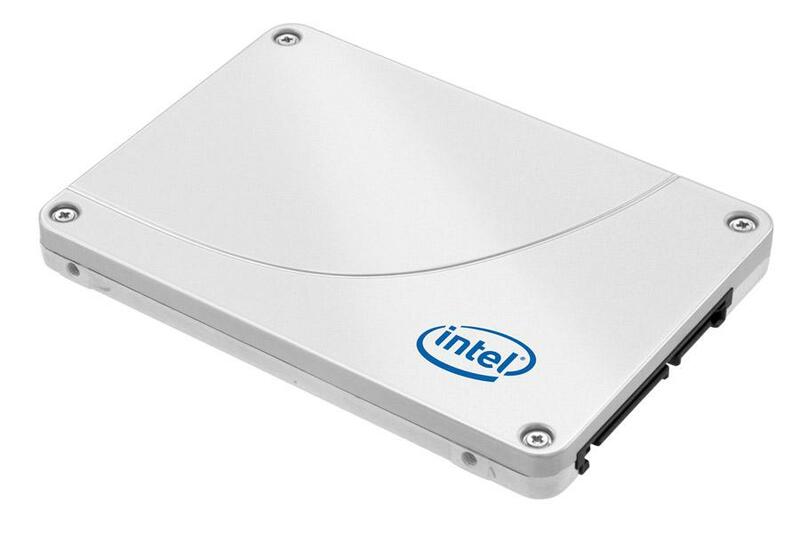 Intel launched the successor to its 330 Series SSD. The controller remains the same – a SandForce SF-2281. But the manufacturer uses a new MLC flash memory technology with 20 nm engraving instead of 25 nm, which allows the model Intel SSD 335 Series 240GB to be more energy efficient. The SSD 335 Series delivers according to the manufacturer a maximum speed of 500 MB / s read and 450MB / s write. But what is its actual performance? The new Intel SSD offers like all models SandForce speeds high peak: 556.6 MB / s read and 530.2 MB / s write (ATTO test). But they correspond to ideal conditions rarely reached. With CrystalDiskMark test more representatives of actual conditions of use, the Intel SSD 335 Series 240GB reaches 470 MB / s read and 326.1 MB / s write speed for large file transfers. These scores are similar to those of XLR8 Pro PNY, a bit faster reading (492.4 MB / s). In comparison, the OCZ Technology Vertex 4 is slower reading (457.2 MB / s), but swifter write (459 MB / s). For the transfer of small files, the Intel SSD provides modest rates with maximum 216 MB / s read and 263.4 MB / s write. Intel SSD comes with a complete kit to install in your desktop computer. The kit includes a cradle with its 3.5-inch screws, a power cable and a SATA cable. The manufacturer delivers a mini-CD, but it contains only the manual and warranty in PDF format. It will then go to the manufacturer’s website to download the free cloning program Data Migration Software and the SSD Toolbox program. With it, you can not only perform diagnosis, but also optimize your configuration to take full advantage of the SSD. While the Intel SSD 335 Series 240GB is not the fastest, but its price is very attractive and satisfactory performance, especially for transferring large files. We also appreciate the installation kit and bundled software, even if we have to download them. This was all regarding the Intel SSD 335 Series 240GB, stay tuned for more updates.